Residents on Harbor View Street took matters into their own hands, attempting to dig out their street. As I’m working on the forecast for Friday night and Saturday, I can’t help but feel a bit of deja vu. 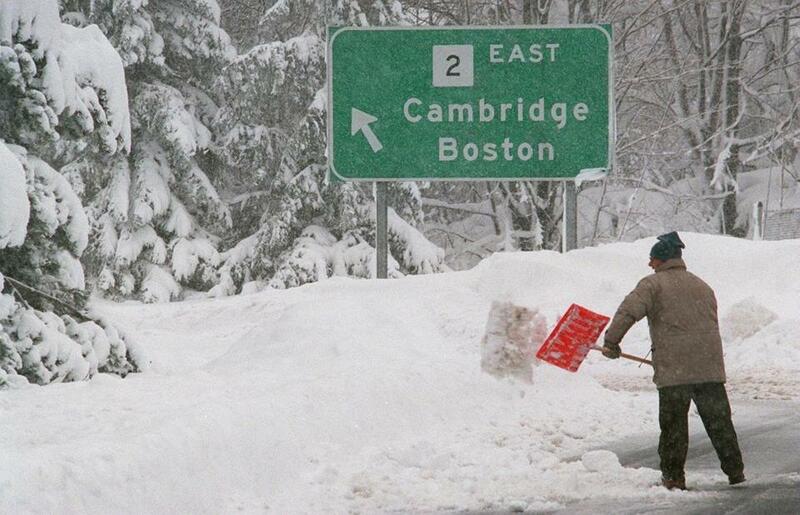 Twenty years ago, a powerful nor’easter, which started with heavy rain, ended up bringing over 2 feet of snow to Boston (25.4”) and nearly three feet to Worcester (33.5”). 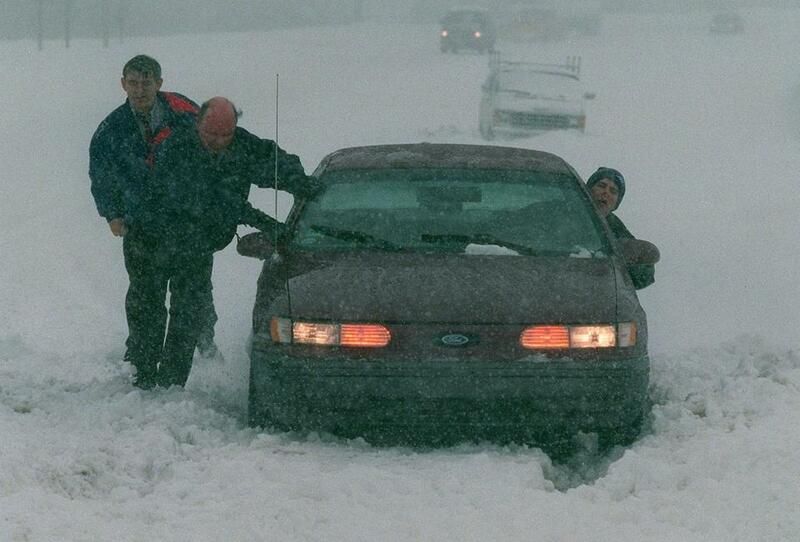 That storm was the largest ever recorded in Worcester, a record that stood for 18 years. 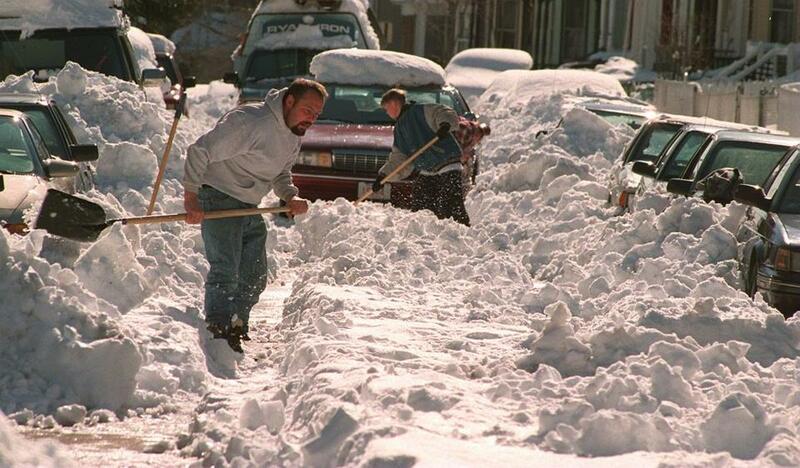 The winter of 1996-1997 hadn’t seen much snow up to the blizzard. 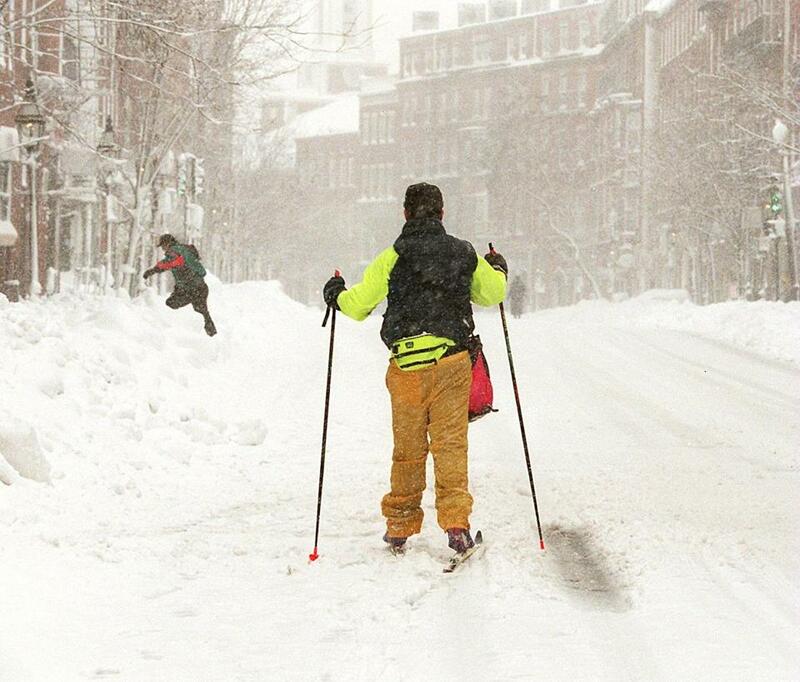 Before the storm, Boston had only received 26.5 inches of snow. By the time it was over, the season would record 51.9 inches, and that was above average. 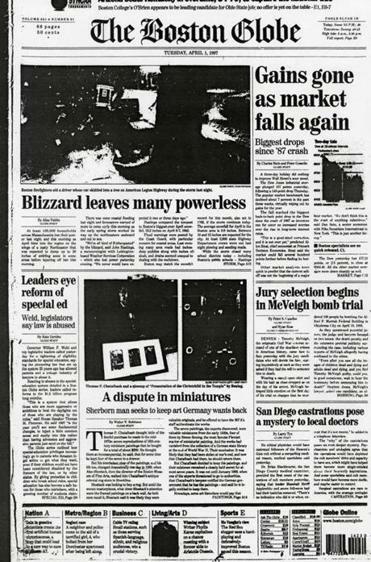 While we reminisce about what happened 20 years ago, let me go on the record as saying this year’s storm will not produce the same results. There will be some areas of New England that see over a foot of heavy, wet snow Friday night and Saturday, but Greater Boston won’t be within the heavy snow area. 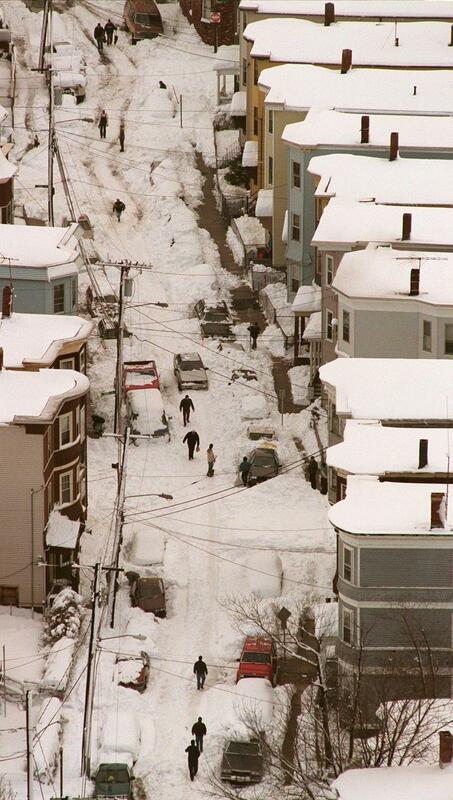 The April 1997 blizzard ranks as one of the top winter storms ever recorded in Southern New England and certainly the biggest late-season storm in modern times. Meteorologically, the storm was a powerhouse. Temperatures the day before the storm reached into the 60s, and with the mild air in place precipitation began as rain. There was some doubt from the public that so much snow would fall after such mild spring weather. As the storm intensified off the coastline, it pulled down colder air from the north as well as from the higher parts of the atmosphere. The rapid intensification of the storm created widespread thundersnow, with a foot of snow falling in Boston over just four hours, from 11 p.m March 31 through the early morning hours of April 1. When New Englanders awoke that morning, snow had piled up to almost unprecedented levels for so late in the season. 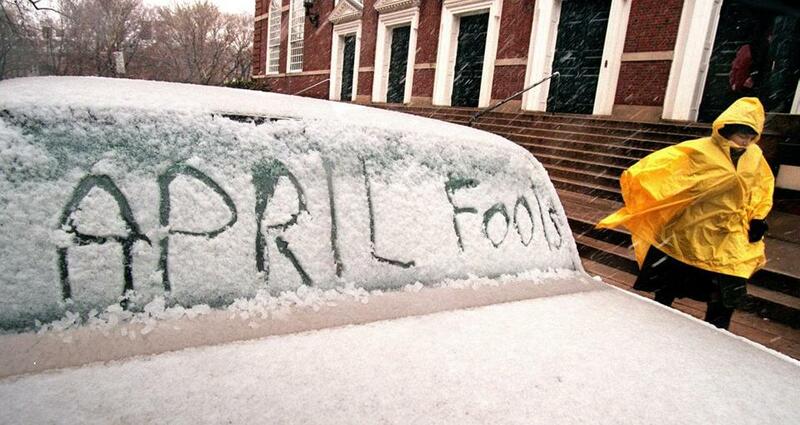 A car parked on the Harvard campus. 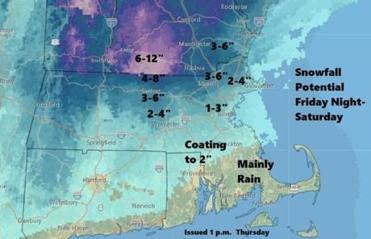 A foot of snow could be headed to parts of N.E. The storm has the potential to drop over a foot of heavy wet snow across northern New England, with lesser amounts closer to Boston. At the height of the storm, winds gusted to over 70 miles per hour and more than 700,000 people were without power throughout New England, most of them in Massachusetts. Tree damage was also an issue from the weight of the snow and the strong winds. In Charlestown, the top of one of the masts of Old Ironsides was sheared off completely. A person shoveled right in front of the entrance for Route 2. 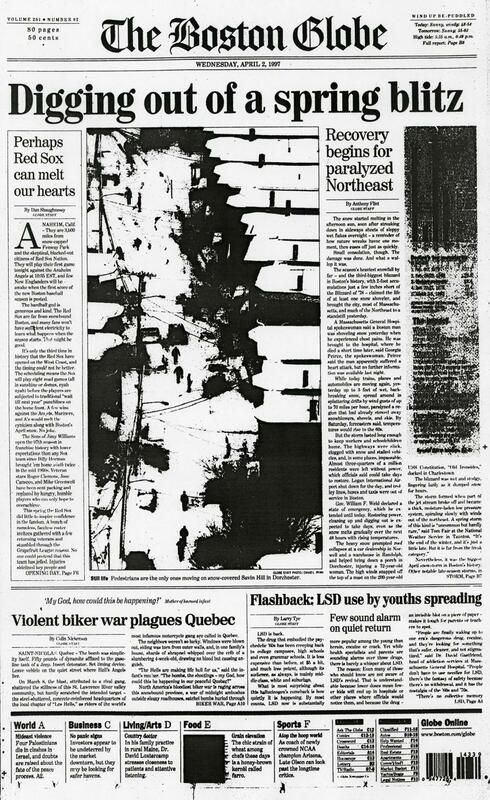 The front page on April 1, 1997. Some of the amounts of snow from the 1997 blizzard are below. The April blizzard, while highly unusual, was not unique. There have been major snowstorms in other years, including as recently as 1982 when a similar storm dumped up to 2 feet of snow on April 5-7. 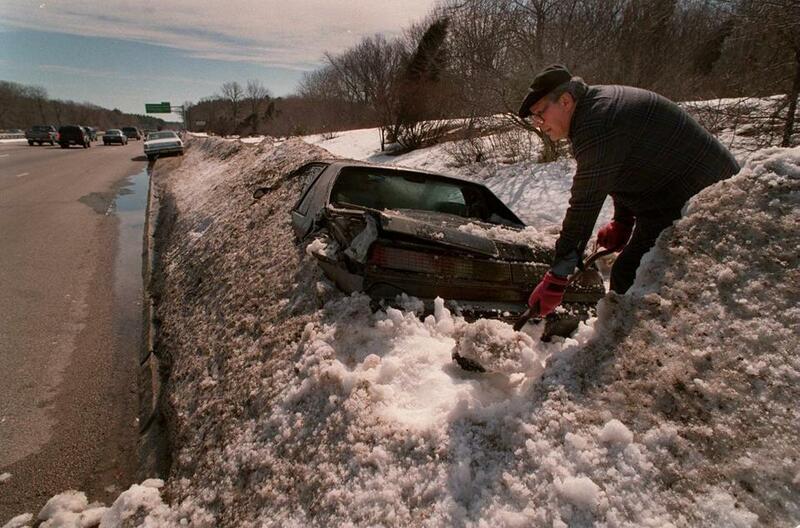 April 1996 gave Boston 7.3 inches of snow capping off the 107.6 inches that fell that winter. A recently as last year, 6.6 inches of snow fell at Logan International Airport from April 3 to April 4. The front page on April 2. The photo that appeared on the front page. This was one way to get down Charles Street. A car caught on 128 in Braintree. A car on the side of the road on April 5, 1997.